Ok, so I rarely come on my blog and feel strongly about writing something sentimental and personal. This isn’t going to be about beauty products, lifestyle related things or nattering on about my weekly vlogs. This is just me feeling strongly about a condition, the impact it has had on my life and expressing it in writing. Maybe someone else is battling this condition too right now and can relate. Any who I hope this is somewhat helpful to at least one person. And just warning you now, this may be a bit TMI. Anyway, where do I begin? I’ve been in a constant battle with my cervix, ovaries, bowels and dealt with pelvic pains since I was about twenty. I’ve recently been diagnosed with Endometriosis which I am due to have surgery for in a few months. (I’m still on the waiting list and it takes about 5 months to get that appointment!) And believe me it’s taken five whole years to figure out what is actually wrong with me, but now that I know, I am so relived. So, so relived. Anyway, this week I’ve been at an all time low. 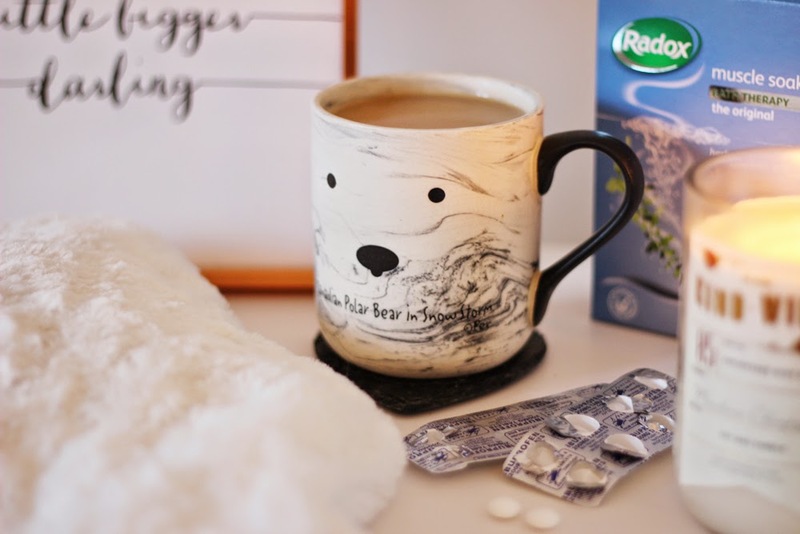 I’ve been suffering with back-pains, insomnia and of course the emotional and physical pain of that dreaded time of the month. It’s hit a point where I’ve been suffering for six days straight now. It started off with back-pain and then a swollen belly that I know oh so well, where I waddle around like a penguin and overdose on ibuprofen to reduce the swelling. The ibuprofen wasn’t kicking in this time round… Maybe I’ve become immune to it. As well as this, I’ve woken up three days in a row, in the early hours, to be sick. And, on Saturday (yesterday) Joe made me a lovely home-made burger and I threw it up almost immediately after. Honestly, I don’t know what is going on with my body right now. It’s now Sunday and I’m still experiencing heavy painful bleeding (TMI, sorry), I barely got any sleep last night due to the pain I was in, I was feeling irritable, restless and highly emotional. 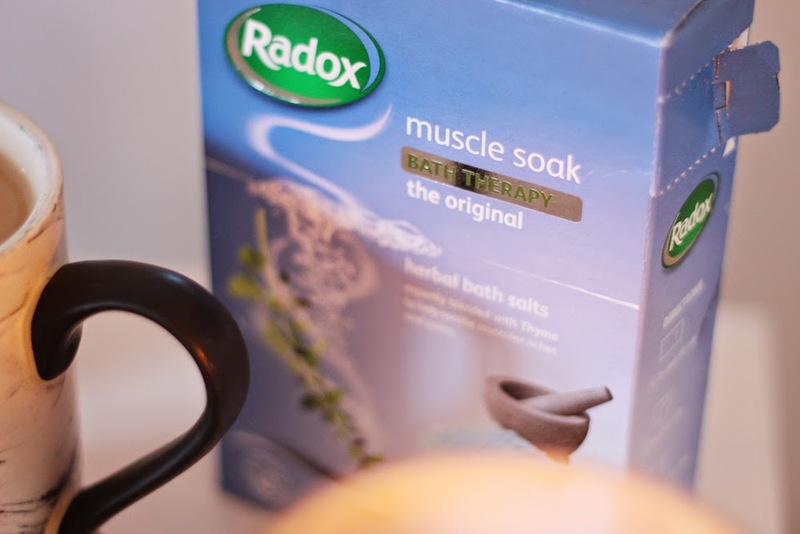 I even tried to relax and took an hour long bath at 6am with Radox’s muscle therapy mixed with their muscle soak bath salts, I feel a little better but the pain is still there sadly. After my bath, I climbed back into bed and burst into tears. Seriously, does anyone know how agonising this is to deal with every single damn month? There will be days where I cannot physically walk, or sit down or do anything, but just lay on my bed like a sardine. I can’t even lay on my side without, the oozes of pain running through my body! UGH, the stresses of this devil condition. Jeez, I’m getting far too emotional in the post. I’m sorry, I just needed to get that all out into the open. Right, moving on. 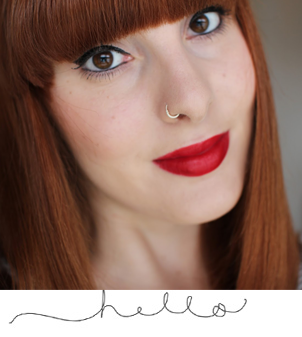 I’m going to talk about some of things that help me during that emotional time of the month. And might what be somewhat helpful to another endometriosis sufferer. Or someone who is experiencing painful periods. Hot-bottle water. Stick it inside your PJ bottoms and walk around like a kangaroo. Baths. Oils, bath salts, bubbles – anything to help you relax and take the pain away. Staying in bed and distracting yourself. This could be by watching a film or TV series. A good old cuppa. If you bring me an earl grey, I will love you forever. Talk to somebody! Talking is good. Talk to a friend, loved one or someone you trust. Wear something comfy. Pyjamas all day, every-day. And of course, my beloved bear dressing gown. A hug. I’m not really a huggy kind of gal, but one from Joe makes all the difference. A massage. Treat yourself to a massage. You can get specialised pelvic massages to relive pain! 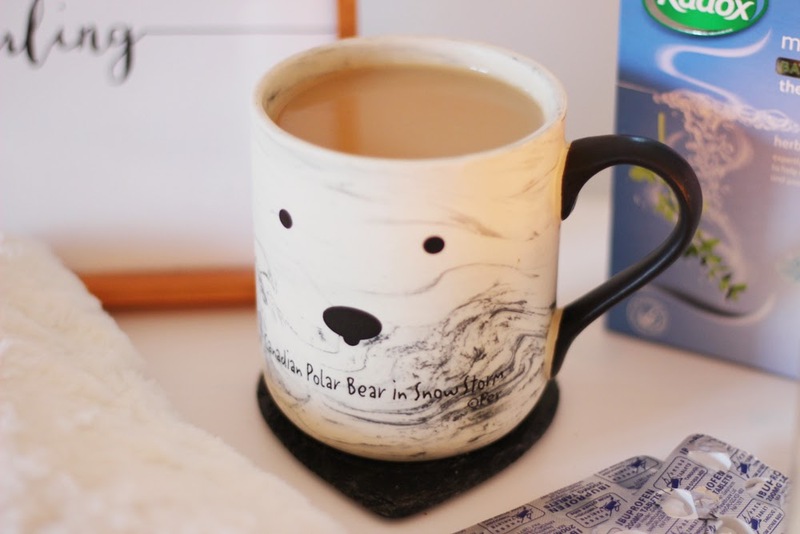 Ok, so there’s my list of things that help me feel better when I’m battling through that time of the month with this little thing called Endometriosis. Hope this was some-what helpful and if not, gave you a little insight to my personal life. And got to know me a bit better.